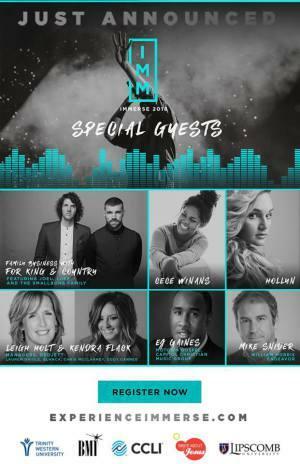 The Gospel Music Association’s Immerse Conference is scheduled for June 11th thru 13th in the heart of music city…. Nashville, TN. Artist schedule to appear at the Conference are, for King & Country, Meredith Andrews, CeCe Winans, Jonathan McReynolds, David Mann, and Cody Carnes to name a few. 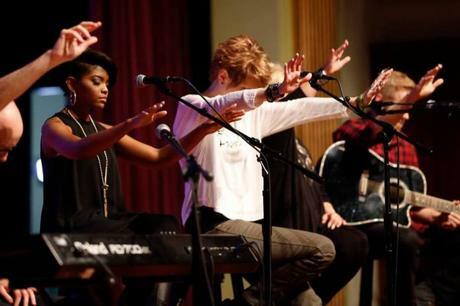 Held on the campus of Lipscomb University, for 3 days, the Christian and Gospel Music industry comes together to invest in the next generation of Christian/Gospel Music Creatives. Whether you’re an artist, songwriter, worship leader or all 3, IMMERSE has something for you. Hear from industry’s top business people and songwriters about their journey and the wisdom they’ve acquired from many years in the field.